A cylinder, can, barrel, tube or coin features a circular base combined with some height for a three-dimensional object. 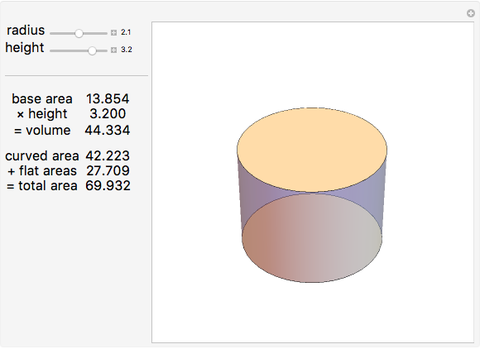 The volume of a cylinder with height and radius is given by (base area × height). 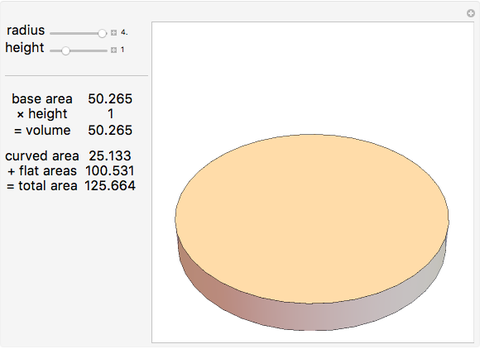 The top area equals the bottom area, (the area of the circle). The curved surface area is (circumference × height). 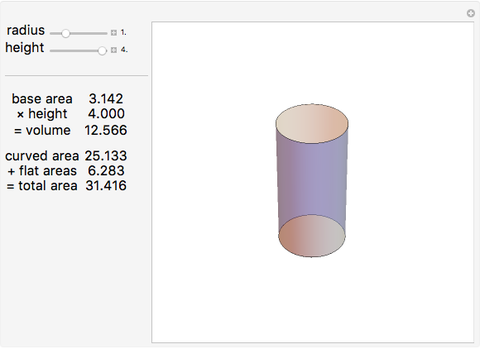 Ed Pegg Jr "Cylinder Volume and Area"